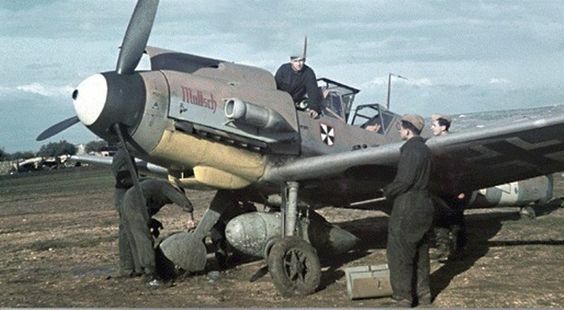 Pilots of 1./JG 52 pictured during the summer of 1941 in Borkum. 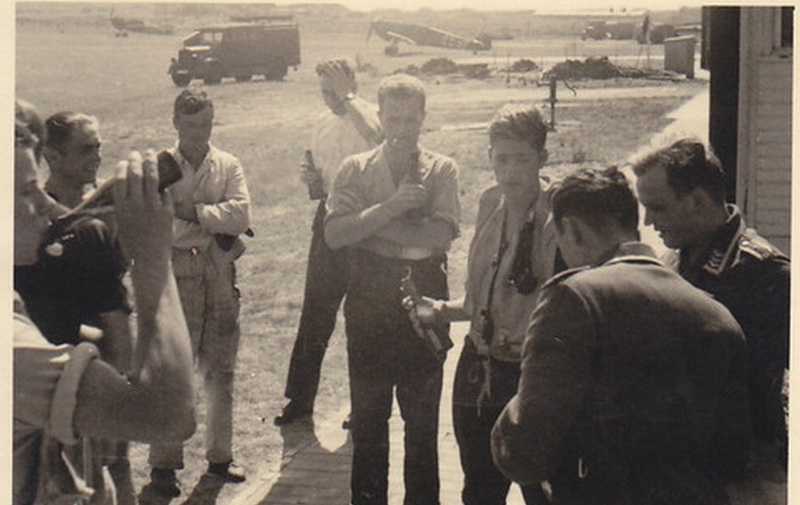 The pilots are seen outside of the mobile ops room, the so-called "Zirkuswagen". On the left taking a drink from the bottle is the later RK- holder Uffz Karl Hammerl who was awarded the RK on 19 September 1942 for some 67 victories. On 2 March 1943 he crash-landed behind enemy lines south-west of Kolomak and was subsequently listed as MIA. Below; another view of the mobile ops room used by the Staffel. Staffelkapitän Oblt. 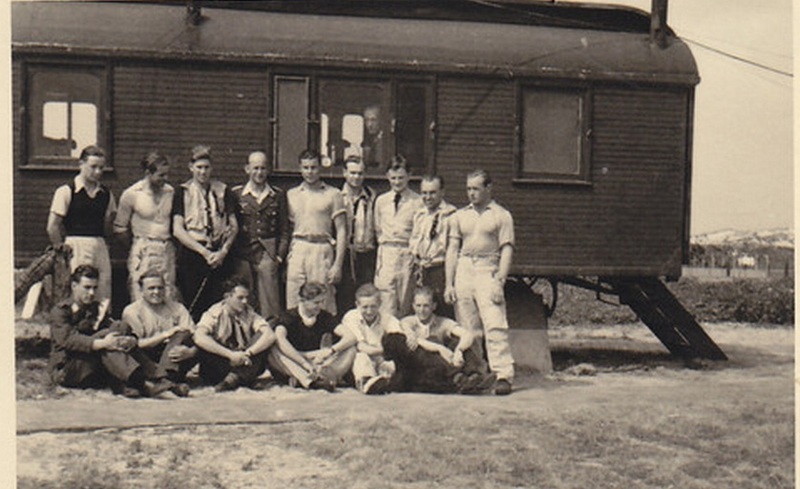 Carl Lommel is 4th from the left in the row standing, while Hammerl is 3rd from the left in the front row.